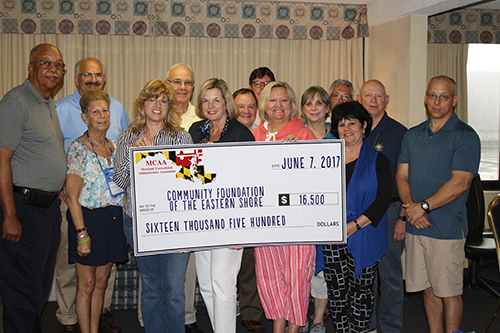 MCAA established this fund to provide scholarships to undergraduate colleges or universities for employees or family members. Qualified candidates must be seeking a career in the field of corrections or a closely related criminal justice degree or certification program at an institution of higher learning. Applicants must be an employee or family member of an agency that is a “regular member” of MCAA as defined in the MCAA By-Laws. A family member may be a spouse, child, child under guardianship. Candidates must be pursuing a career in the field of corrections or a closely related criminal justice degree or a certification program at a two or four-year accredited college, in any state, and have a 2.5 GPA or above. The scholarship recipients shall be selected by the Scholarship Committee. Should any committee member be related to an applicant, that committee member must make this known to the committee. The committee shall decide whether a conflict of interest exists and what action if any should be taken. Annual scholarship awards will be based on the available funding and the number of eligible applicants. It shall be the responsibility of the Advisory Committee to develop procedures for the annual selection of scholarship recipients, subject to the conditions above. Applicants will complete an application and as appropriate provide transcripts and write an essay. The essay must be their own work and be submitted with the application. Scholarship applications for the 2018 fall semester must be received by May 1, 2018. The application can be downloaded from the link below. Completed applications and supporting documentation can be submitted electronically to palderman@baltimorecountymd.gov , or mailed to: Patricia Alderman, Scholarship Committee Chair, Baltimore County Department of Corrections, 720 Bosley Avenue, Towson, MD 21204. If you have questions, please call Ms. Alderman at 410-512-3404. Click here for MCAA Scholarship Application. How do I find out who’s an MCAA member? You may check with the managing authority (e.g. warden, assistant warden, facility administrator, detention center warden/ superintendent) of your institution, or your agency head. Only a current member may sign as a sponsor. Current members have been issued membership cards. How important is it to have a current member sponsor me? It is part of the verification process with regard to whether you are an eligible candidate. Without the sponsor signature, or if the sponsor is not current, your application will not be considered. What happens if I don’t submit all the materials required? Your application will not be considered if not submitted by the deadline. Applications without complete information, the appropriate signatures or copies will not be considered. Currently the association seeks to award as many scholarships and grants possible. You will receive written notification. Can I change schools once my scholarship application has been submitted? Yes, providing the committee approves the reason for the change. If I received an award previously do I automatically receive an award during the next application period? No, you must continue to apply during each award period and your application must meet the requirements for consideration. Your application will be considered with all others received. Who makes the final decision about the scholarship?